ESS is an exciting area for automotive engineers, as it offers endless opportunities to create unique sound environments. The system delivers improved engine feedback and makes drivers feel connected to the car they drive. As technologies improve, we can expect to see more and more electric vehicles on the road. One of the most striking features of these vehicles is their silence – and the lack of familiar audio cues is giving rise to significant safety concerns. Sound is part of the driving and road-using experience. Pedestrians use sounds to determine how fast a vehicle is approaching, and how close it is. Drivers also rely on audio cues from the engine to tell them when to shift gear, for example, or how fast they are accelerating or decelerating. In the absence of engine noise, these valuable warnings are missing. With research showing slow but steady growth for electric vehicles, regulations have been implemented that electric and hybrid vehicles must generate continuous sound that provides authentic audio cues to pedestrians and other road users. 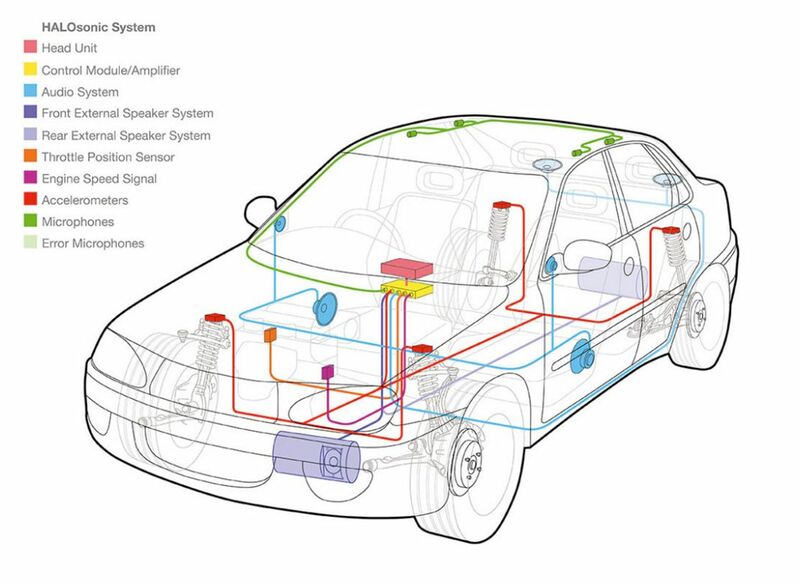 Although presenting a fresh challenge for automakers, the move also opens a new vista of opportunities for technology specialists, automakers and audio engineers to pool their expertise and push forward the boundaries for “soundscaping” both the interior and external environments of electric vehicles. 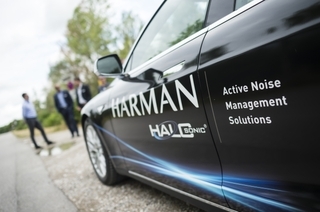 HARMAN, the premium global audio and infotainment group, is taking the lead on solutions to mitigate these safety concerns and add sound to the silence. Together with Lotus Engineering, HARMAN has created HALOsonic, a tailor made suite of sound solutions. HALOsonic technology encompasses not only the cancellation of sounds, but also the creation of sounds through Electronic Sound Synthesis (ESS). Sounds may be produced on the outside of a car for hybrid and electric vehicles in order to enhance pedestrian safety. 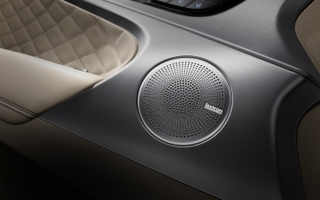 Sounds may also be produced inside the car for improved driver feedback and enhanced driving experience. The HALOsonic Internal Electronic Sound Synthesis (iESS) is the part of the system that enhances the driving experience. Drivers are accustomed to the audio response of a combustion engine as they accelerate, decelerate and drive around corners, something which is missing in a near soundless electric car. When it comes to cars, sound plays a huge part in the choices people make. The way a car door sounds when it is closed and the way the engine roars when you are hitting the accelerator can make or break a sale. In striving to reduce the environmental impact of cars with combustion engines, engineers are developing “downsized” engines with smaller displacements, fewer cylinders and the addition of turbo- and superchargers. Moreover, OEMs actively pursue fuel saving, emission-reducing measures such as cylinder shutdowns that attenuate original engine noise. HARMAN engineers have set out to improve the sound of the various propulsion concepts, making the engine sound mightier than it actually is. 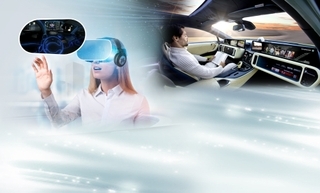 To improve the driving experience, this technology enables sound contouring inside the car by creating speed- and throttle-dependent sounds through the standard speaker system. The system delivers improved engine feedback and makes drivers feel connected to the car they drive. The HALOsonic External Electronic Sound Synthesis (eESS) is the part of the system that provides safety to other road users and is designed to meet the new legal requirements. With the significant increase in sales of fully electric and hybrid vehicles, we are witnessing a change in the acoustic experience in and around a car. The silence of the electric drivetrain means that pedestrians miss familiar acoustic clues warning them about an approaching vehicle. With an electric vehicle, they can no longer rely on sound to determine how fast a vehicle is approaching and how close it is. It works by synthesizing an engine sound with volume and pitch appropriate for the speed and direction of the vehicle. This sound is projected from speakers mounted at the front of the vehicle, giving an early warning to pedestrians that the car is approaching. The sound is projected only in the direction of travel, fading away almost instantly once the vehicle has passed (contrasting positively with combustion engines, which remain audible for far longer). 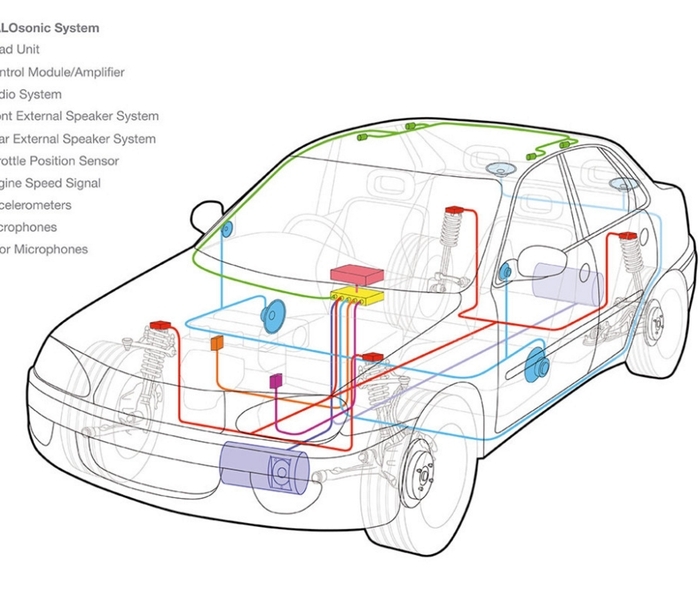 External audio synthesis is subject to strict rules: electric vehicles are required to emit equivalent audio cues to those we are accustomed to from combustion engines. However, when it comes to vehicle interiors, drivers have far more choice in how they manipulate the sound experience. Once the algorithm is in place and all of the various sounds have been collected, the audio can be manipulated to the manufacturers’ or owners preference. For example, drivers can switch from a sports version to a conventional-sounding car at the touch of a button, accomplished simply by changing how the wavetable is processed. It’s also possible to have some fun. With convolution reverb, a sound studio technique, it’s theoretically possible to bring the roar of a six-cylinder sports car to a subcompact-size vehicle interior. In fact, some of these unusual sound experiences have already been tested. The HALOsonic concept car, based on a Toyota Prius, enables drivers to switch between a V8 or V12 engine sound, and even try out a few zany sci-fi effects. And, as this is a concept car which will not be hitting the roads, the sound is also audible through the external synthesis system. ESS is an exciting area for automotive engineers, as it offers endless opportunities to create unique sound environments. The ability to offer such customizable, high quality sounds in electric cars will add both enjoyment and greater safety to electric driving. It could also be a competitive differentiator for electric car manufacturers, who stand to gain from developing signature sounds for their respective models.